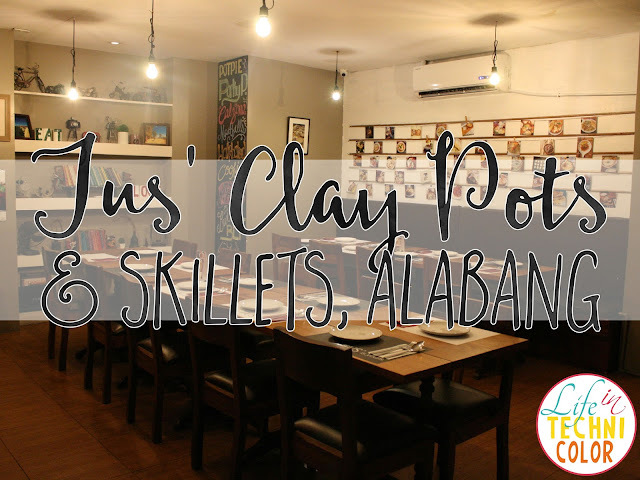 Drove down to Tus' Clay Pot and Skillets in Alabang to try out their best offerings! 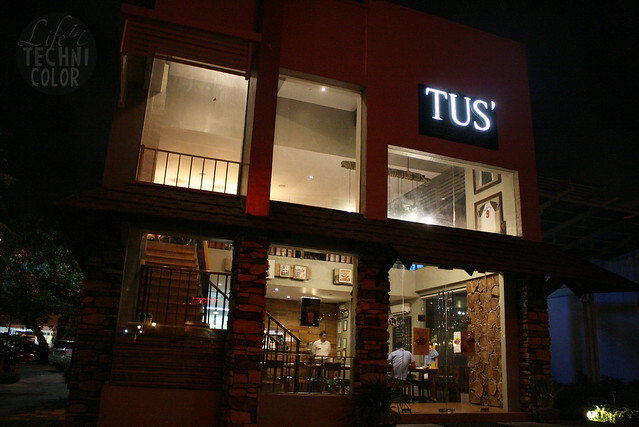 Tus', meaning “yours” in Spanish, first opened in Westgate, Alabang, two years ago. 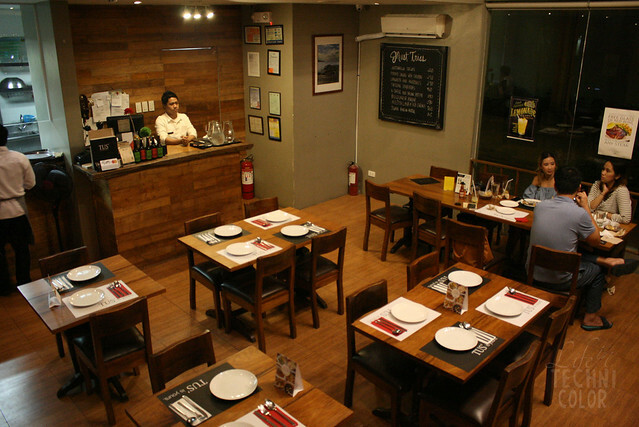 March 8 marks their anniversary where their bestselling dessert, the Half-Baked Cookie, goes for 99 pesos (instead of its regular price of 180 pesos) per order. Unfortunately, there’s still a long wait until the next anniversary - but let’s face it, that’s not the only reason why people go to Tus'. Kai and Krsna used to be softball teammates in Zobel. 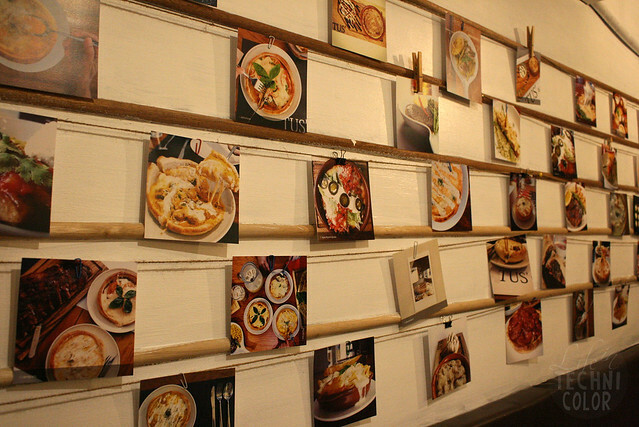 So when they both found themselves quitting their corporate jobs one day, they decided to start their own restaurant. The two actually had very different careers before this - Kai was an accountant for Discovery, while Krsna worked in Singapore and Korea as a chef. 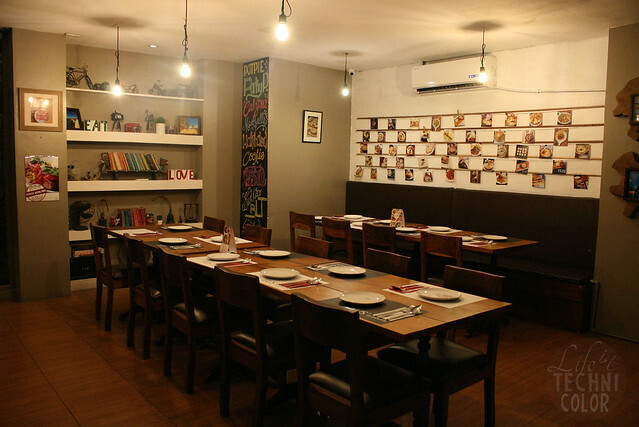 So now, Krsna handles the cooking and social media for the restaurant, while Kai focuses more on the management side of things. 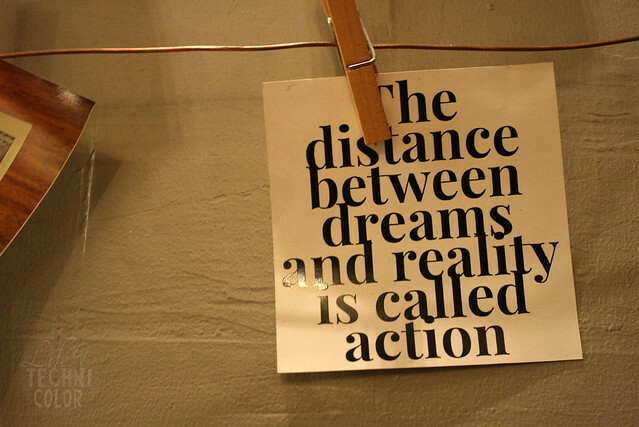 Some words of encouragement for people still hesitant to follow their dreams. 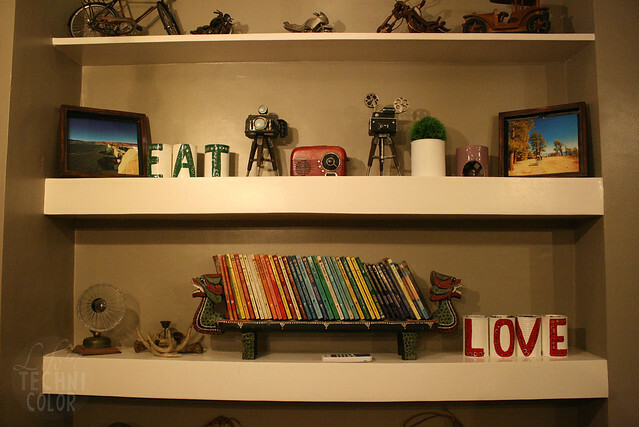 They wanted to create a place that gives the feeling of home. 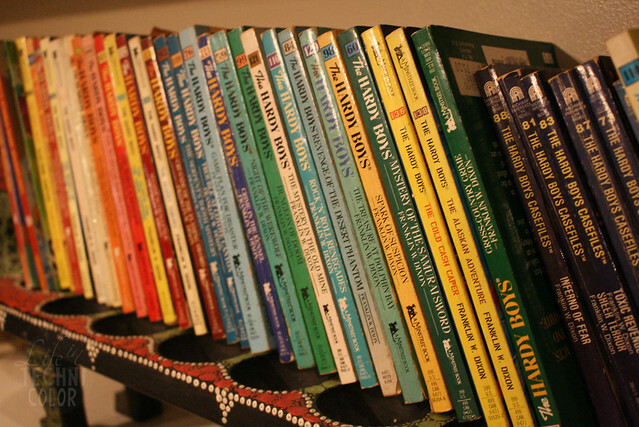 When you visit Tus', it’s like you’re in your own cozy space. I mean, just take a look at the decors! 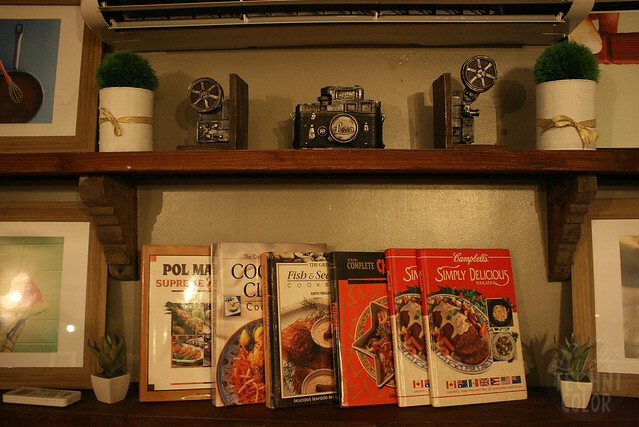 They have books, random trinkets, photographs, cameras - it's exactly how I picture my future home to look like! 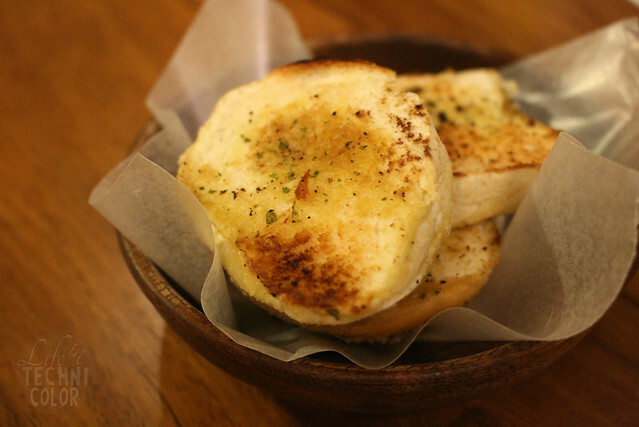 We started the night with some garlic bread while we waited for one of their newest dishes to be served – the Mozzarella Cheese Sticks. 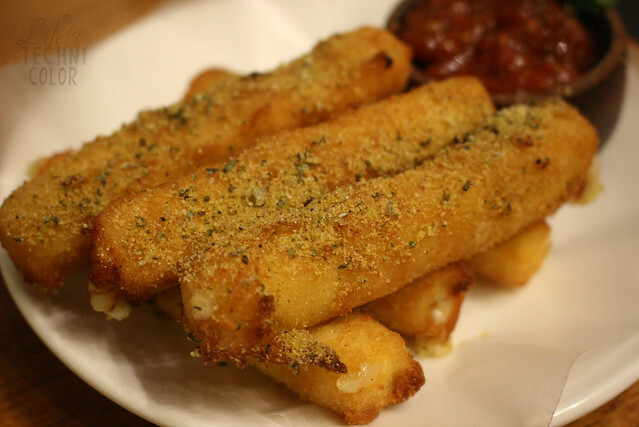 Mozzarella sticks are one of the best starters out there! I especially love it when it is served with a tomato dip since it feels like I'm eating pizza, but in smaller portions. 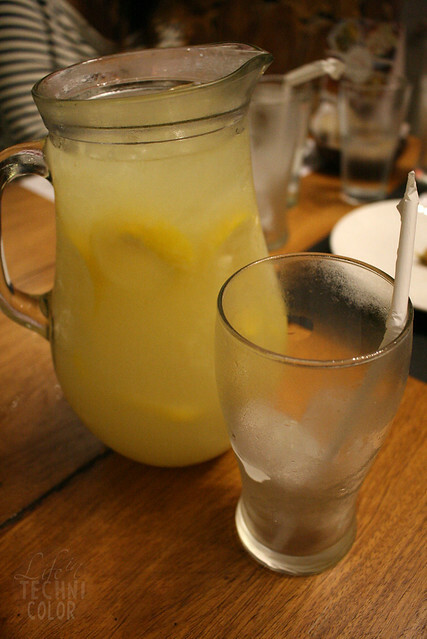 I've noticed that more and more restaurants are serving fresh lemonade rather than the powdered ones because aside from it being a refreshing drink, it's healthy too! So what's not to like? 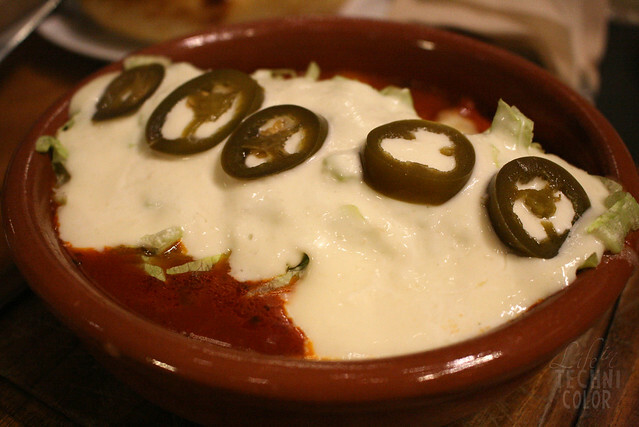 The Wet Beef Burrito is one of their bestselling cazuela dishes. For those who don't know, cazuela is a Spanish cooking pot used to prepare a variety of dishes, especially in South America. 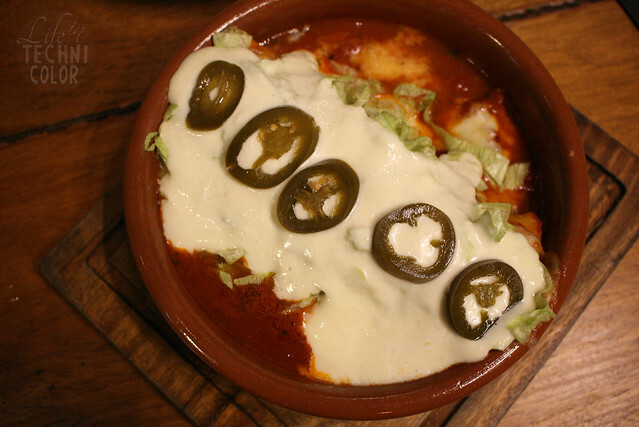 Here, the burrito rice with beef is wrapped in a tortilla, lathered with tomato sauce, covered with mozzarella cheese and salsa, and finally topped with sour cream and jalapeños. So if you like burritos, then you're sure going to love this! I know I did! 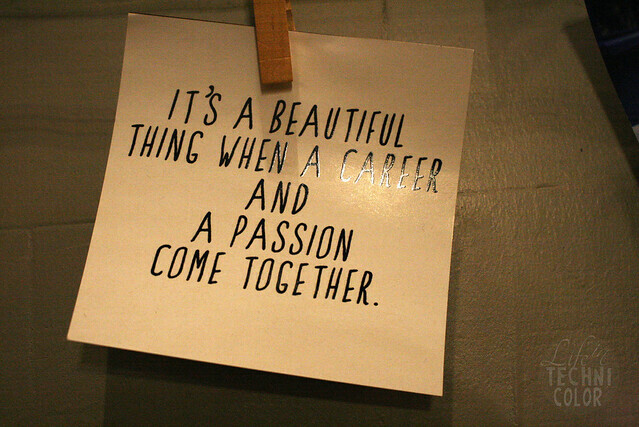 You can never go wrong with cheese - if I'm going to have a kitchen philosophy, this is it. 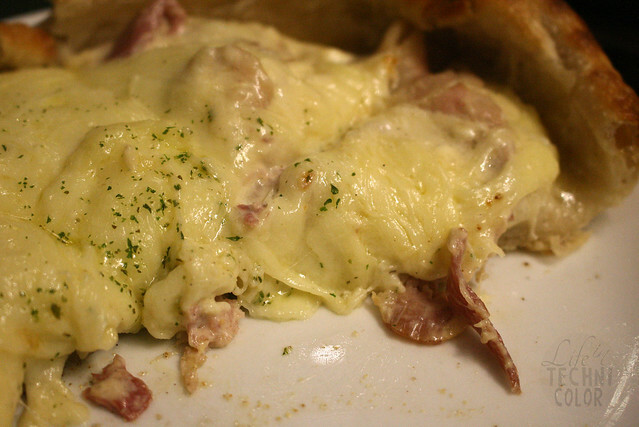 I just cannot express enough how much I love cheese and the fact that this is a four cheese dish WITH bacon just blows my mind. 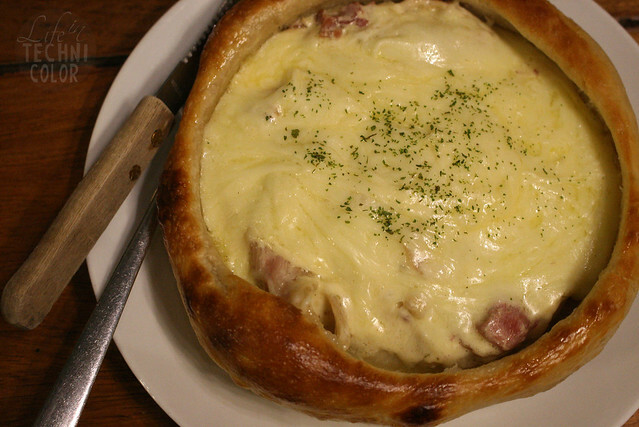 The way I described it last Saturday was "it's like eating Pizza Hut's stuffed crust!" 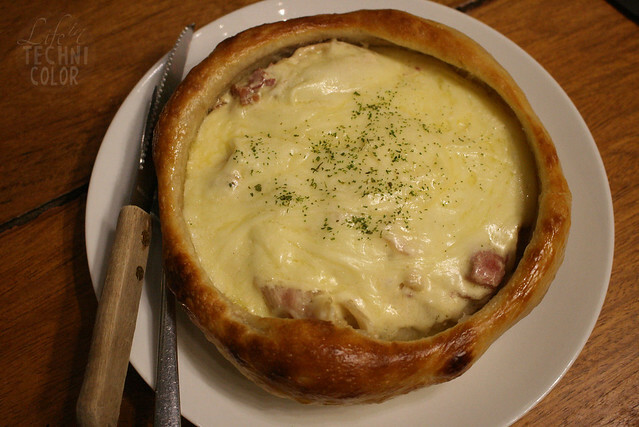 It's such a comforting dish, especially on rainy and gloomy days like the ones we've been having lately. 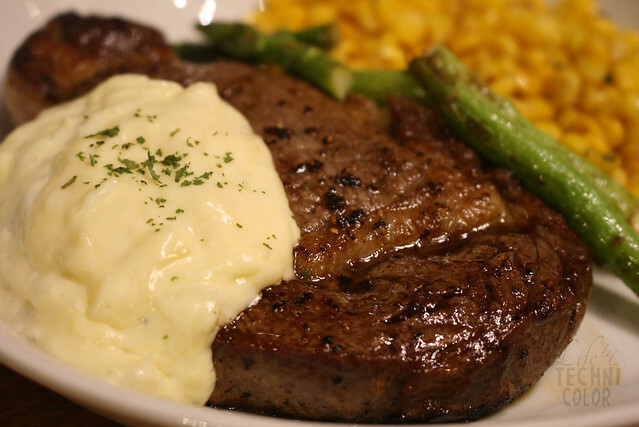 After all those cheesy dishes, we moved on to their skillet steaks! 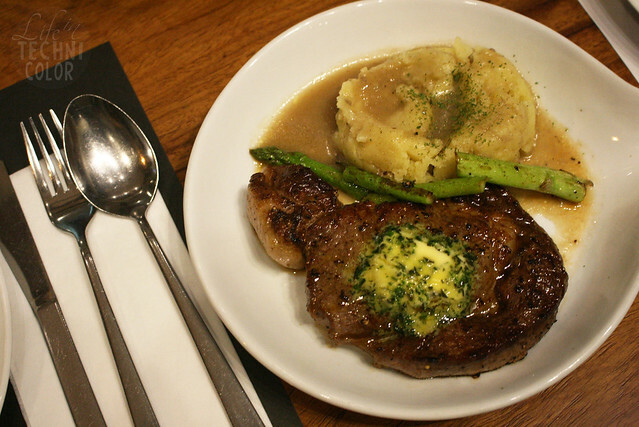 These are rib-eye steaks that are cooked according to your desired doneness and served with your choice of side: home fries, smashed potato with gravy, butter, sautéed corn, or rice. 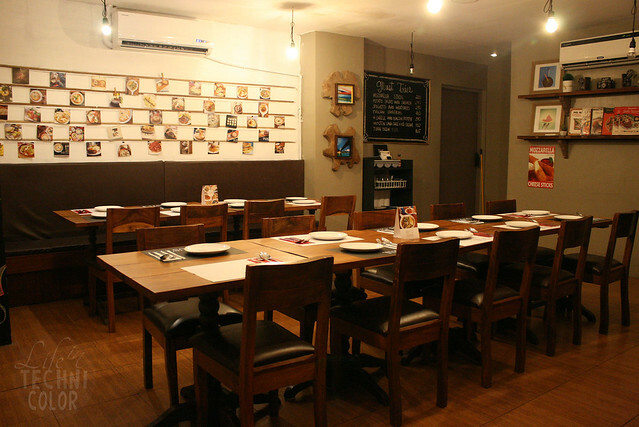 What's unique about their steaks is that they are served with different toppings like salt and pepper; herbed butter; spicy lemon pesto; blue cheese and black pepper; and cheese and onions. Even their steaks have cheese on them! 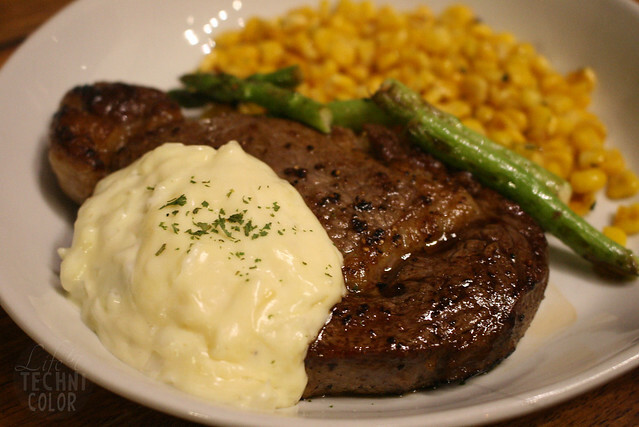 This one features melted cheese and sautéed white onions on top of their rib-eye steak. 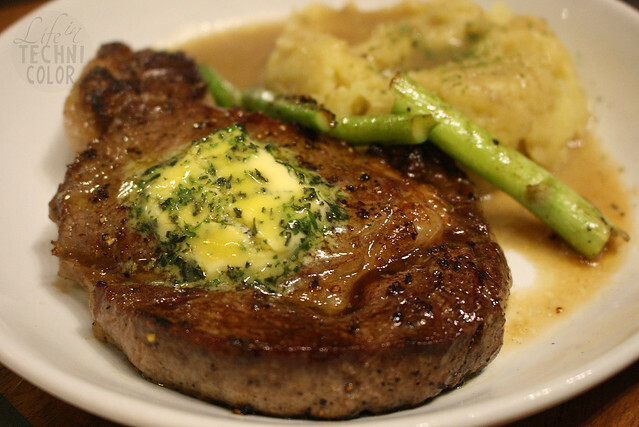 Here's their own mix of fresh herbs and butter to enhance your steak's flavor. 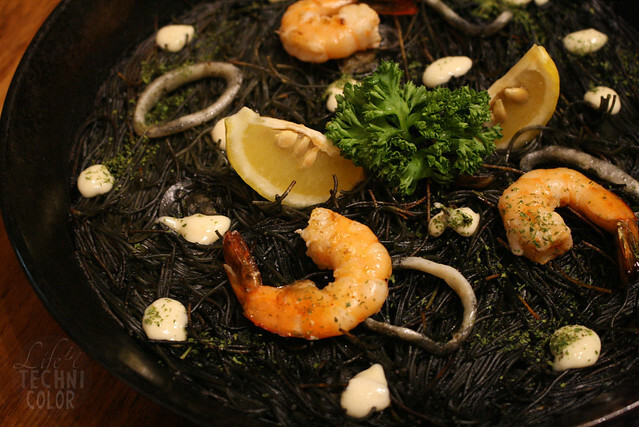 Fideuà is a seafood dish originally from the coast of Valencia. 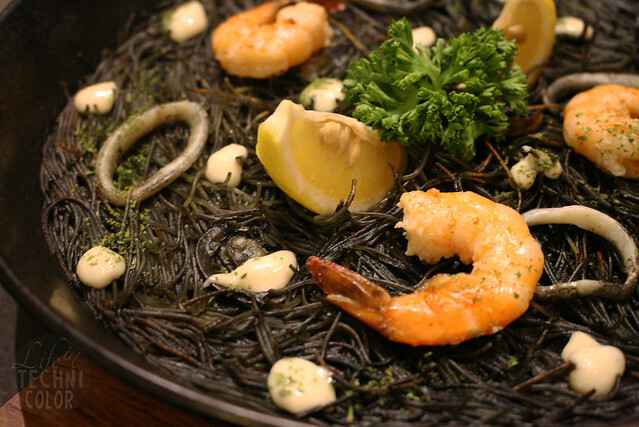 It is similar to paella, but with noodles instead of rice. 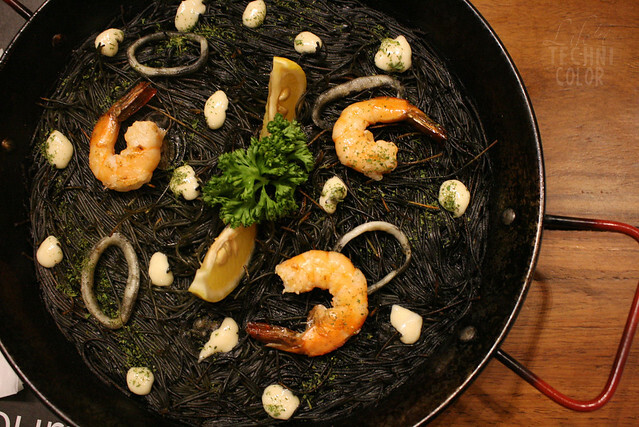 For this one, they make use of angel hair pasta so it kind of mimics a real paella. 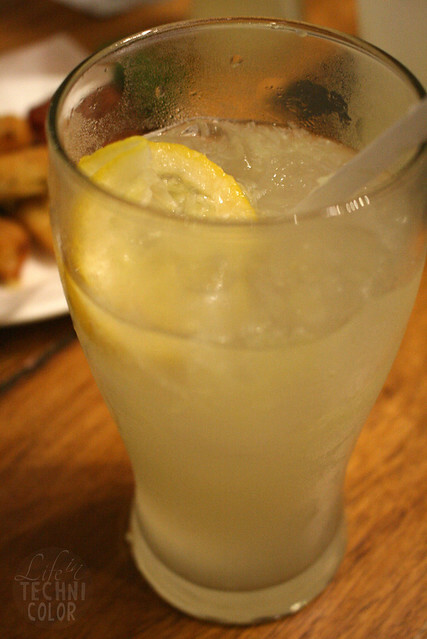 It was kind of salty at first, but after squeezing some lemon juice and mixing it all together, its true flavor came out. Everyone loved it. I was surprised at how quickly the dishes came out of the kitchen, so I was worried that it'd be dry by the time we got to it, but it wasn't. The noodles actually absorbed the sauce so it was really flavorful. 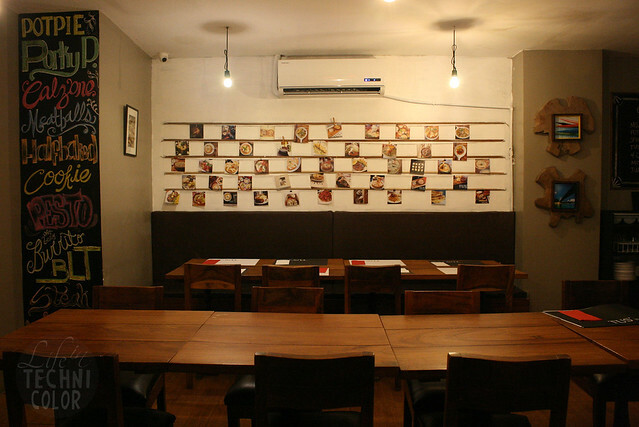 Then it was topped with various seafood like shrimps, clams, and squid, so yes, it's a must-try for seafood lovers. 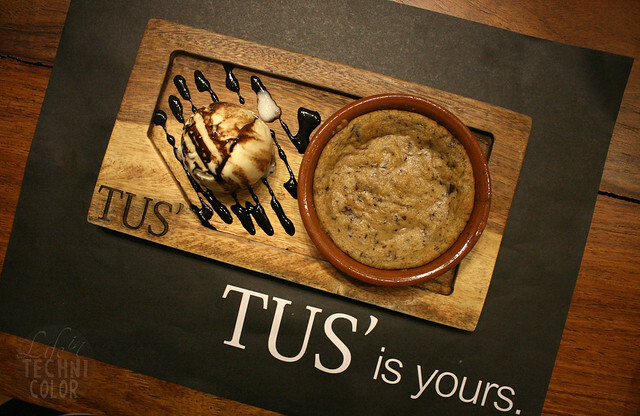 To end the night, we were served their most popular dessert, the Half-Baked Cookie (P180)! 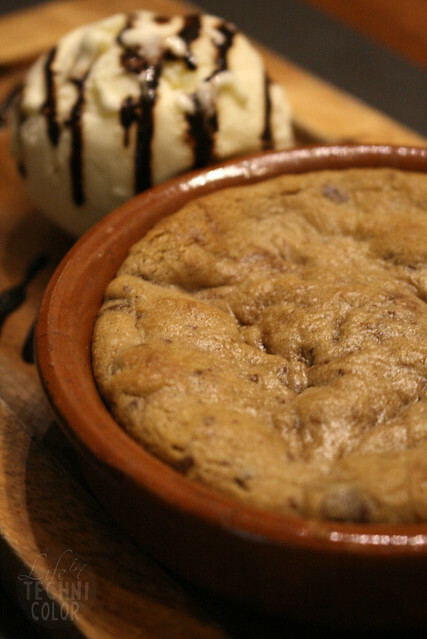 This is their house-made cookie dough half-baked in a cazuela. It's chewy, gooey, and creamy all at the same time. 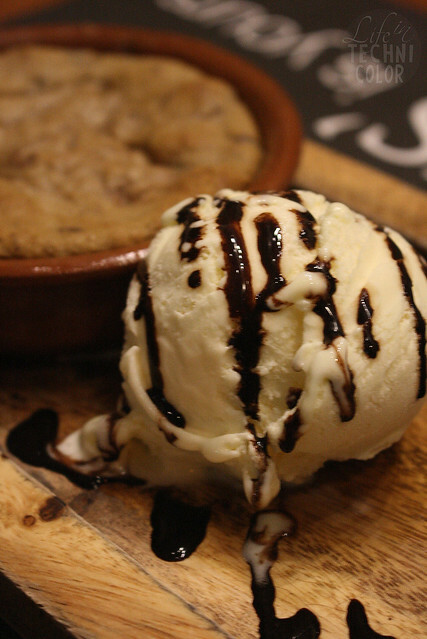 I loved how the warm cookie went so well together with the vanilla ice cream. The only bad thing about it? I had to share it with someone. 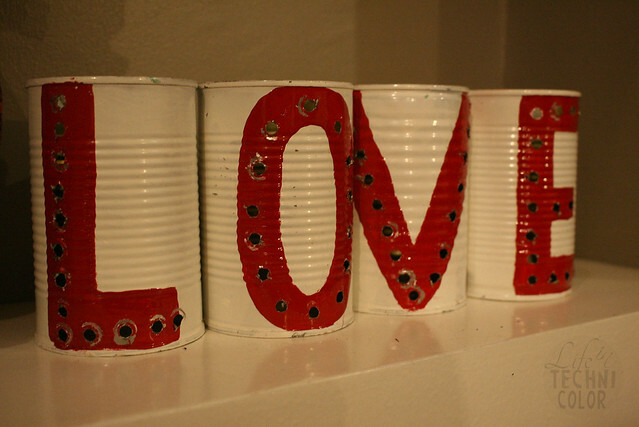 Thank you, Tus' Clay Pots and Skillets! 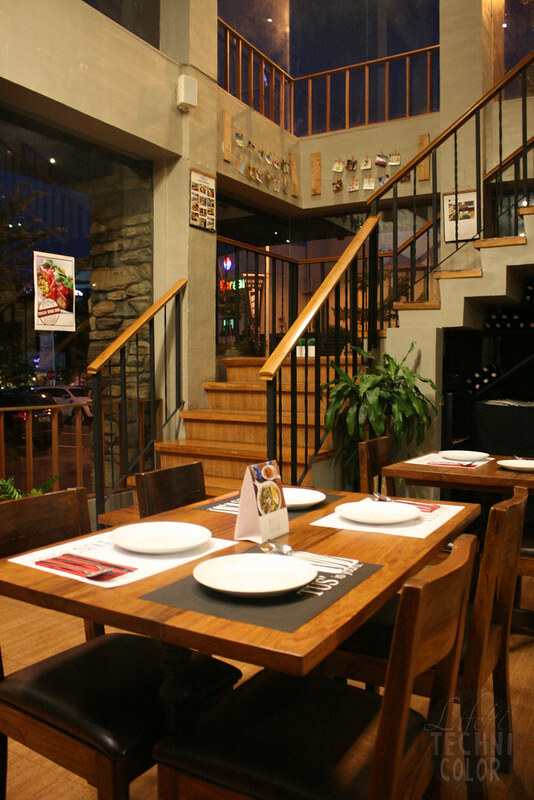 Tus' Clay Pots and Skillets is located at Westgate Center, Filinvest City, Muntinlupa, Alabang.